Manuel Pellegrini’s return to English football after a two year sabbatical in China left people in equal measures both excited and fearful. Excited at the thought of no longer seeing Moyes prowl the touchline, with the idea of free-flowing football gracing the London Stadium. Fearful that with the tools at his disposal, he would not be able to replicate his title-winning qualities with Manchester City. As it turns out, the season so far as been distinctly average. Twelve points from twelve games is nothing to write home about, so what is stopping Pellegrini from delivering the astronomic heights we were told he would achieve? And what has he managed to get a hold of with nearly a third of the season down? Pellegrini is a manager who has had a wealth of success in his past. High points include his Champion’s League exploits with Villarreal and Malaga and, of course, his title-winning spell with Manchester City. When he came to West Ham, the Chilean was facing an uphill battle before he even began – a mass of injuries, an underprepared training ground, fan unrest and a team without direction. Upon his appointment, he was expected to eradicate these woes. This is unfair on the man, as he walked into a job even Moyes was unsure about taking, with a multitude of factors weighed against him. A key factor that allowed Pellegrini to succeed at the above clubs was the presence of a true playmaker. Riquelme, Isco and David Silva were the respective cogs of the three teams, creating constant chances and linking play between the midfield and attack. West Ham have been deprived of this figure in the shape of Lanzini, who Pellegrini must have been envisioning moulding into a playmaker-supreme like the aforementioned trio. Further injuries to Wilshere and Yarmolenko mean that Pellegrini is deprived of two technical players able to fit in with his style of play. Pellegrini even recently said in an interview that his players aren’t used to playing in a technical way, meaning it takes time to trust the process, perhaps explaining the stuttering start to the season. Despite the injuries and players not possessing all the skills necessary to produce ‘Pellegrini football’, the manager has done well in other areas. He has blended the youth into the team excellently, putting a lot of trust in Rice and Diangana, who have both repaid him by putting top drawer performances. His decision to move the youth team to Rush Green to keep an eye on the talent is proving to be an inspired decision. Appearances from Coventry and Powell further cement Pellegrini’s trust in the youth. He has also started to yield the best form from Anderson, whose performances against Burnley and Huddersfield came after supposed stern words from the boss. Pellegrini has also been brave in his choice to allow the partnership of Diop and Balbuena to grow. The pair had zero Premier League experience, with Balbuena not even playing in Europe beforehand. The dropping of Ogbonna, who last season was playing well in a back three, to introduce the pair should be applauded. His commitment to playing football the ‘right way’ is also highly admirable. After the hangover from Moyes’ style, Pellegrini is a pint of Berocca, hopefully returning us to some form of normality. His insistence on using Hernandez in the 4-3-3 system is peculiar, as was trying to shoehorn Noble and Wilshere into a midfield pivot at the beginning of the season. Pellegrini is a man with tried and tested methods, whose contract of seven million pounds a year makes him the third best paid manager in the league -but by no means is he the third best in terms of quality. Similarly, we pay silly wages for Hernandez and Carroll, players not quite at the peak of their powers – yet their wages contradict that. It is a common pattern with West Ham – only thinking in the present, tomorrow’s headlines – not the future. Personally, I would have liked to have seen a young manager come in and grow alongside the team and the club – a la Eddie Howe or Mauricio Pochettino (though I am obviously not saying they should have been candidates). 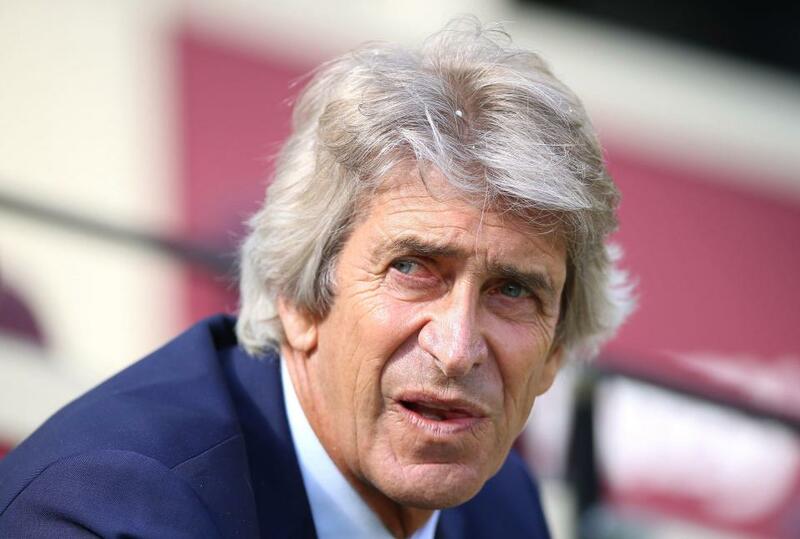 Pellegrini is not a long-term investment; his age and spell in China indicate this fact, but the main problem with any new manager is the level of expectation at West Ham. Overachievement in 2015/16 has led to a distorted view of the team’s quality, and hence fan anger when the team fail to reach those heights again. Loaded promises come with a demand for excellence. Pellegrini is yet to hit this marker and instead must rely on patience, the perennially injured and his tested tactics in a tumultuous time.